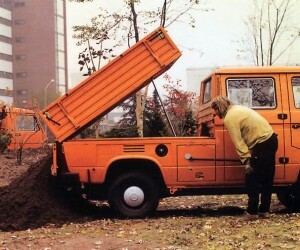 The problem with GoWesty’s original kit is the relay and wires were simply too small. 10 gauge wire just doesn’t cut it when trying to charge the battery. Ken Wilford at Van-Again recommended we purchase this Battery isolator and works so much better. Along with the battery isolator we opted for 4 gauge wire and it really does the trick. We used to get about 12.4 volts running over the auxiliary battery when the engine was on which wasn’t enough to keep up with the discharge (even from the radio when we weren’t using it). After this installation we get 13.5-13.9 volts consistently running over both batteries and we’re always charged. 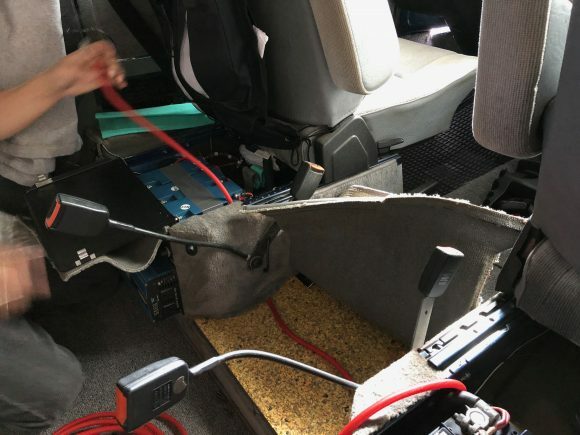 We mounted the isolator under the seat on the passenger’s side next to the starting battery. You can see we ran the wire through a hole in the side of the seat pillars. We had to notch out a path in the cork on the floor, but it saved us from drilling and running the wire under the van. 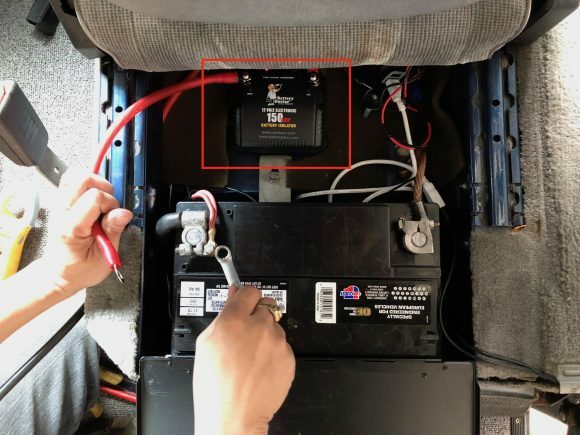 One nice feature of the Battery Doctor isolator is there is a button that connects the batteries in case you need to jump your starting battery. This can come in quite handy. Thank you, Ken, for the recommendation. If you want to support Ken check out Van-Again.com. He has a parts store that can help you out with parts when you need them. 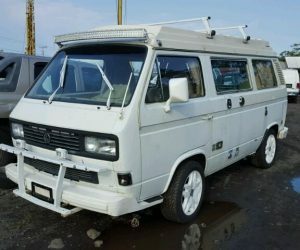 He also has YouTube channel where he shares his Vanagon knowledge with the world. If you want to try this isolator for yourself hit this link below. It really worked for us!